The Galaxy S7 and S7 edge are equipped with a host of enhanced gaming features. Many of the developers behind these enhancements are passionate mobile gamers themselves, and to them, there are two types of people: those who play video games and those who don’t. After much deliberation, the developer team worked together to create new apps and services tailored for mobile gamers on the Galaxy S7 and S7 edge, along with appropriate upgrades in specifications. Recognizing the growth of the mobile gaming industry and increasing influence of millennial mobile users, Samsung launched a Task Force Team (TFT) dedicated to gaming in 2015. The team was comprised of experts from different groups across Samsung – from Technology Strategy and Service Product Management to Graphic R&D and UX to Product Planning and Marketing. Together, the team members used their different expertise to create synergies and solve various challenges throughout the development process. As a result, they bolstered the new Galaxy S7 and S7 edge with specialized features for mobile games – demonstrating the company-wide move toward providing a more convenient and comfortable gaming experience for users. The more notable gaming features of the Galaxy S7 and S7 edge are the Game Launcher and Game Tools. While the Game Launcher allows you to be immersed in the game by showing every mobile game related feature in one screen, the Game Tools increases concentration by offering on-screen buttons for game-related functions. These two apps are pre-loaded on the Galaxy S7 and S7 edge but not activated automatically. Since these features are not essential for non-gamers, interested users need to activate them in ‘Settings > Useful features > Game’. The ‘Do not disturb’ feature of the Game Launcher is receiving positive response from avid gamers. When it is activated, the phone blocks notifications and calls and disables some basic buttons. The team also added a live-stream feature that records games and provides live-streams using the Game Tools, without the help of a separate app. 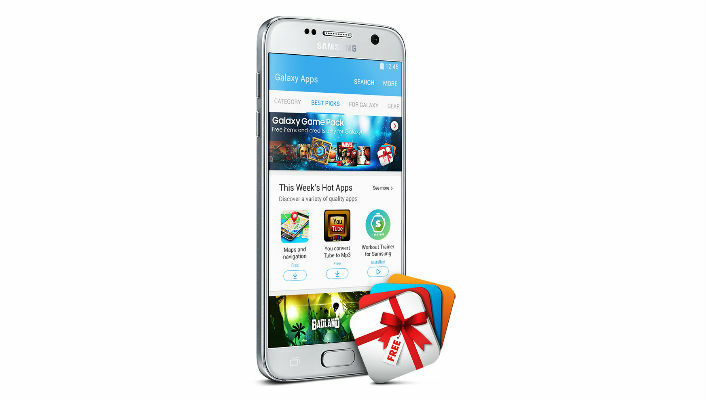 Samsung offers a Galaxy Game Pack to Galaxy S7 and S7 edge users through the Samsung Galaxy App Store. Packed with more than 40 of the world’s favorite games, its monetary value is more than $200. “We created the Galaxy Game Pack because we wanted a way to let more Galaxy users know about the Galaxy S7’s gaming features,” said Manager Junsik Kim. Offering the games to users was a first step for the developers in getting user feedback and finding out their satisfaction levels with the gaming features. Beyond the improvement of graphics and the addition of enhanced gaming features on the new Galaxy S7 and S7 edge, the developer team aim to build a mobile game ecosystem. To achieve this goal, the team recognizes the need for collaboration with other companies and game developers, and demonstrated its efforts at the Game Developers Conference 2016 (GDC), the largest game developer conference. The company upgraded the smartphone’s graphics module in order to run high-spec games on it. That’s how the Galaxy S7 and S7 edge are equipped with the next-generation graphic API, Vulkan. Cooperation with other companies was also vital during this process. “Although we have the capability in-house to develop the product and service based on the new API, we could more effectively work together with others under the same goal,” said Principle Engineer Ted Choi. Vulkan is the first graphics tool that supports desktop, console and mobile devices with a single API. It significantly reduces CP workload, which helps to reduce power consumption while still creating great graphical effects. Vulkan also has the potential to unify and expand the game eco system across various platforms and will contribute to the accelerated adoption of open standards. As expected, many gamers found interest with the Vulkan games. 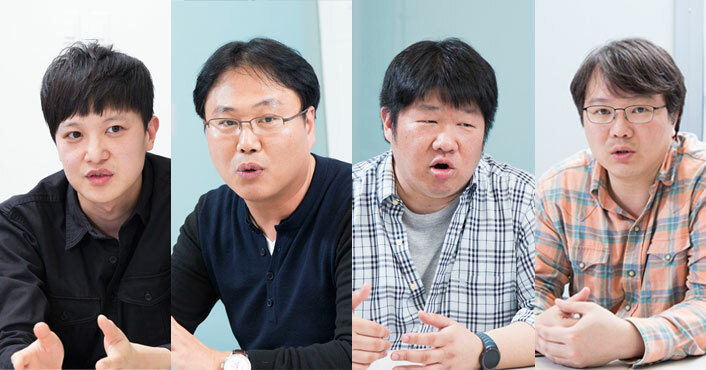 “We will try our best to release as many Vulkan games as we can within 2016,” Jung Woo Kim said. Experience powerful gaming features of the Galaxy S7 with Game VJ Sojung Im at below video.